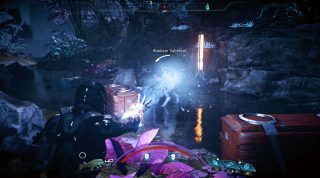 In our first deep-dive gameplay video, we took you through the weapons and skills that you’ll become familiar with when Mass EffectTM: Andromeda launches on March 21. In the second video, we’ll take a look at how you can customize Profiles and Squads to tailor your gameplay experience. As you unlock skills over the course of the game, you’ll also start gaining access to our new Profiles system, choosing from up to seven unique types of profiles that add bonuses to suit your play style. 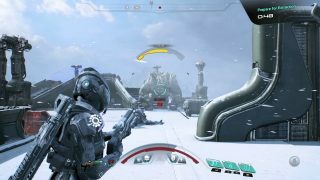 For instance, as you gain more biotic skills, you’ll unlock the Adept profile that adds bonuses to the duration and damage of your biotics. The more you invest in these skills, the higher the level of profiles you’ll be able to unlock. If you want to dabble in lots of different skills, try the Explorer profile. With this profile, you’ll be able to specialize in combat mixed with biotic and tech skills, while still getting access to perks and buffs that enhance your abilities. Furthermore, you can swap these profiles at any time, allowing you to keep the action fresh, giving you numerous ways to approach every battle, and ensuring you never feel locked into a particular style of play. Even better, you can create favorites, which represent a quick way to map three powers and a single profile to one slot. At any time during combat, you can switch between four favorite slots, giving you access to up to 12 powers during the course of a single fight. As an example of how you could use these favorites, let’s say that over the course of several levels you’ve built up your character with two very different sets of skills: one suited to long range combat and one suited to close range. You find yourself exploring an uncharted world while using your Infiltrator profile, and when you encounter a group of enemies, you initiate combat with Cloak, Barricade, and Trip Mine, while picking off foes from afar with your sniper rifle. Once the enemies hunker down and you start having trouble getting at them, you open the weapon wheel and switch to a Favorite where you’ve saved a Vanguard Profile with Charge, Annihilation, and Nova. 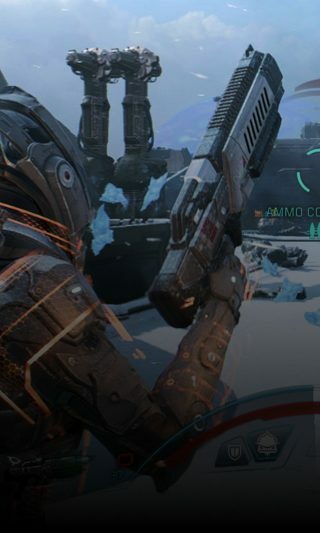 You pull out your shotgun, biotic-charge a distant target, and bam, you’re ready to get up close and personal! When it comes to combat, don’t forget your squad. Each of your six available squadmates has three active and two passive skills. 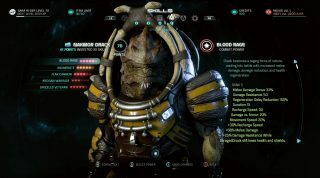 For example, Cora can use her powerful biotics as a support character, while Drack can soak up lots of damage as a bruiser. As the Pathfinder, you can choose the course of your squadmates’ skill evolutions, improving Drack as either a tank or a damage-dealer, depending on what your party needs. Not only can you set your squad up around the battlefield, ordering them to defend locations, attack targets, or rally to your side, but you can also team up with them for devastating Power Combos. Power Combos activate when you or a squadmate primes an enemy or group of enemies, setting them up for the kill, and then another squadmate jumps in to finish the job. You can also upgrade your squadmates specifically toward making them good at priming or detonating Power Combos. Be sure to keep your eye on MassEffect.com for more information on gameplay in Mass Effect: Andromeda, as we’ll be touring you through crafting, multiplayer, and so much more before launch.